Between 1940 and 1947, Canada held more than 35,000 prisoners of war (POWs) and civilian internees spread across a vast camp network on behalf of Great Britain. Almost 70 years after the closing of the last camp and the repatriation of the last POWs, the subject is still unknown to many Canadians. The Canadian historian, born in Germany, Ernest Robert Zimmerman in his evocative titled book The Little Third Reich on Lake Superior, explores the particular case of the camp R located at Red Rock, Ontario, around 100 kilometres northeast of Thunder Bay. Between July 1940 and October 1941, 1,150 German POWs were interned at camp R by Canadian military authorities. The particularity of camp R was the mixed composition of the detainees. Among them were Nazis, anti-Nazis, Jews, soldiers, merchant seamen and refugees whom London requested Ottawa to keep in custody because of the “High Security Risks” posed to British internal security. In fact, the presence of many pro-Nazi prisoners in Red Rock invokes not only the title of this book, but also the bad reputation of this camp in 1940. As Zimmerman mentions, the incredible story of camp R is a part of the larger history of Canada’s handling of POWs and internees. 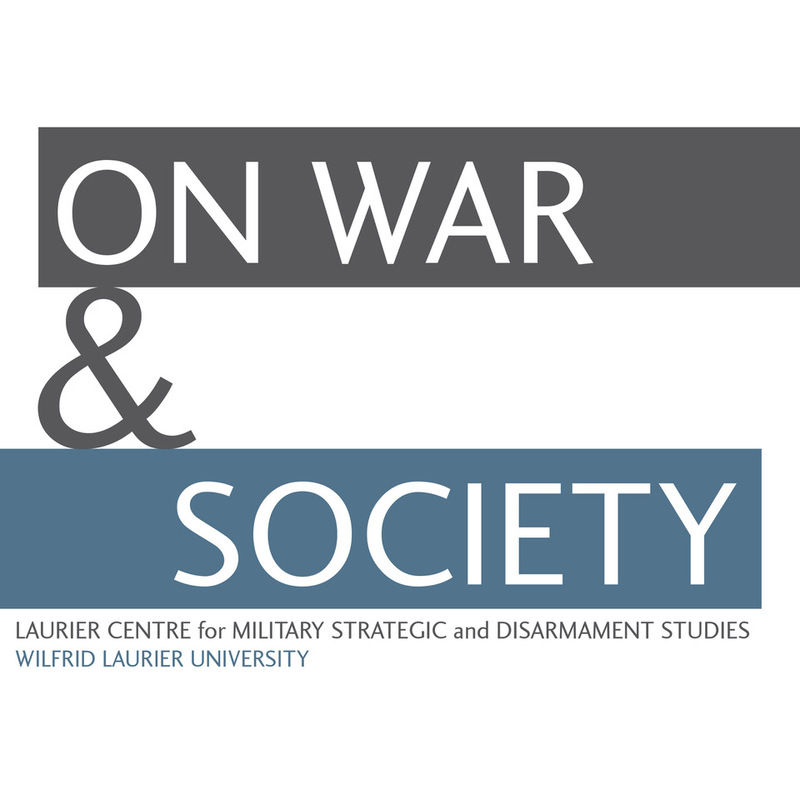 By chronicling this in depth, Zimmerman’s study contributes to a deeper understanding of this significant page of history of Canadian participation in the Second World War. Through the twelve chapters of this book, Zimmerman examines not only the daily life in the camp and the Canadian internment policies, but also the relationship between the different authorities implicated in the complex process of administering military and civilian detention in Canada (Direction of Internment, Department of External Affairs, Military District) and Britain (Foreign Office, War Office, Home Office) as well as International Organizations in charge to observe the application of the Geneva Convention of 1929 for the treatment of prisoners war; ICRC, YMCA and Swiss representatives. The author reveals that although Canadians, British and Germans were signatories of this convention, several stipulations were subject to different interpretations. As an example, he explains the debate between Ottawa and London on the definition used by the United Kingdom to classify civilian internees as prisoners of war. According to Zimmerman, Canadians were concerned by the nature of these captives, most of them did not represent any “high security risk”, and by the British definition of prisoners of war, this included civilians and refugees and was not respectful of the international rights for Ottawa. The story of camp R began in Britain, which was the first Western state to apply a large internment operation against enemy aliens. In the frantic context of May 1940, the collapse of allied forces in Norway, Netherlands and France, the threat of a German invasion of England and the fear of the Fifth Column—group of pro-Nazi partisans supposedly present among the German refugee population—British authorities decided to quickly deport all individuals considered a possible risk for the national security. Enemy military prisoners but more importantly, enemy aliens, mostly German, Austrian and Italian refugees were subsequently deported on the assumption they were security risks. London requested Dominion authorities to accommodate and guard these supposedly “dangerous” elements. Ottawa finally accepted a contingent of these undesirables numbering 7,000 in early June 1940. With great haste, Canadian authorities had to organise in a short time the detention sites for these prisoners. The first three chapters of the book explore this short but intense period. Parts III to VII detail the perilous journey across the North Atlantic as well as the problems, which occurred during the first three months of the detention at Red Rock. Zimmerman depicts the general conditions in the inmates’ enclosures. The administrative difficulties presented by the site and the running of the camp; food, furniture, Standing Orders to regulate the captivity, the creation and formation of Veteran Guard, the staff commanding and the psychological or the moral condition of detainees are also discussed. Their attitudes varied from stresses to arrogance and caused the isolation of anti-Nazi prisoners by other inmates. The dual confrontation between Nazis, anti-Nazis among merchant seamen and Jewish refugees occupy of large part of the study. Parts VIII to X describe the camp inspections by military authorities and NGOs, the daily routine, sports activities, escape attempts and more important, the Canadian perception of the inmates as “dangerous”. For Zimmerman, anti-Semitism was rife among the Canadians, and the idea that captives were true fifth-columnists persisted. The last two chapters explore the technical problems with the installations at Red Rock involving security, sanitary conditions and the few opportunities for working. These complications induced Ottawa to transfer captives in other camps and to close camp R in October 1941. During that time, about 700 internees were released or repatriated in England. The author concludes with a short analysis on the general idea of the Little Third Reich on Lake Superior as a myth versus the reality of the captivity. Based on a large and significant research in different national, public and private archives as well as personal interviews with anonymous former inmates and camp staff, and supported by a great catalogue of photos, this book fills a gap in the historiography of Canadian war captivity, finally chronicling the story of the captives at Red Rock. The study is a classic micro-history. 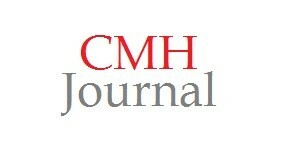 Zimmerman uses Camp R as a case study through which to examine the large processes of Canadian internment operations. Critical of Canadian and British policies, especially towards “innocent” civilian internees, the author exposes the infringements upon international rights committed by both Canadian and British authorities. Although their status as “Refugees from Nazi Oppression” was recognized, the authorities still perceived them as dangerous enemies. The resulting transatlantic internment operation, based on this perception, made a significant impact upon the lives of the internees and their families. Unfortunately, there remain some ambiguities with the Zimmerman’s approach. First, the work failed to engage with the wider historiography of POWs, with the key contributions of historians overlooked such as Jonathan Vance, Bob Moore, Kent Fedorowitch, Arieh Kochavie, and S.P. Mackenzie. In addition, the author largely focuses on the first months of activity from July to November 1940, which neglects the evolving context of Canadian detention policies and administration between January and October 1941. In particular, during summer 1941 the Imperial Prisoners of War Committee was established in London where was intensive negotiation between Ottawa and London on the definition of Detaining Power and the sharing of responsibilities between UK and the Dominions on POW issues. Zimmerman fails to note this changing context in his analysis. The relationship between Britain and Germany also requires exploration as the detention of military and civilian prisoners represents a complex phenomenon that includes different components and reciprocity between captor States being an increasingly important factor over the course of the conflict. The custody at Red Rock was also directly influenced by an inter-commonwealth relationship, which was structured either by the authority of London on the Barbed Wired diplomacy with Berlin and the affirmation of national sovereignty from Ottawa. These aspects constitute examples of how the macro-structural factors should be examined in the study of camp R. Zimmerman keeps focus rather on more factual or anecdotal facets of the detention, such as daily life, escape attempts, physical manifestations of anti-Semitism and Nazism in the camp and the personal stories of different prisoners and commanders. On this topic, the study is more descriptive than analytic. In short, Zimmerman proposes interesting questions on the POW topic, but unfortunately he answers only a few of them and fails to offer a new argument or interpretation of military and civilian detention of war during the Second World War. In this context, the transnational approach appears a better option to observe the question of camp R. Among the voluminous historiography on POWs in the last twenty years, historians have tended to explore captivity beyond the boundaries of a single nation or particular camp. In so doing, researchers seek to generate a global understanding of this wartime phenomenon. As mentioned by an Australian POW specialist, Joan Beaumont, “to achieve a wider understanding of captivity, the community of POW historians will need to be desperately international”. Nevertheless, this book presents a tremendous and fascinating case of study for the public on the history of Camp R. Ernest Robert Zimmermann died in 2008. His two friends and colleagues Michel S. Beaulieu and David K. Ratz agreed to edit and publish the book in the memory of this devoted historian. 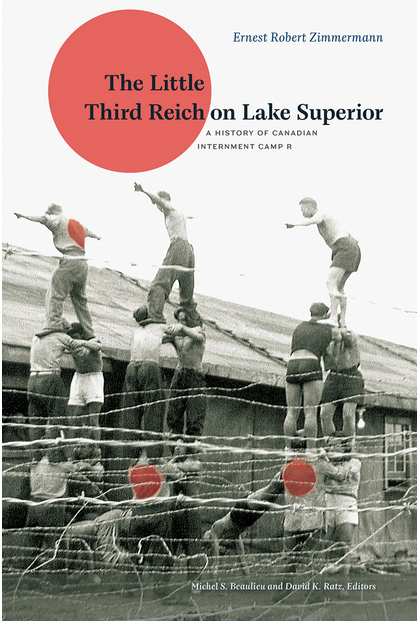 The Little Third Reich on Lake Superior is highly recommended to anyone interested in the history of Canadian participation in the Second World War and the question of civilian internees. Eminents works on POWs include: Jonathan F. Vance, Objects of concern: Canadian prisoners of war through the twentieth century (Vancouver: University of British Columbia Press, 1994); Bob Moore and Kent Fedorowich, Prisoners-of-War and Their Captors in World War II, First Edition (Oxford, England; Washington, D.C: Bloomsbury Academic, 1996); Arieh J. Kochavi, Confronting captivity: Britain and the United States and their POWs in Nazi Germany (Chapel Hill: University of North Carolina Press, 2005); and S. P. MacKenzie, “The Treatment of Prisoners of War in World War II”, The Journal of Modern History 66, no. 3 (September 1994): 487‑520.